Hindware Snowcrest has launched their stylish and sleek 23L and 24L personal air coolers. These air coolers occupy minimum space and are designed with state-of-the-art features such as high air delivery rate of 1600 m3/hr and are claimed to protect from dust and mosquitoes. The personal coolers also come equipped with many top of the line features, including inverter compatibility to function even during long power cuts; ice chamber with cooling equivalent to that of an air conditioner; humidity control; and a transparent viewing glass to easily ascertain when the air coolers require a re-fill. 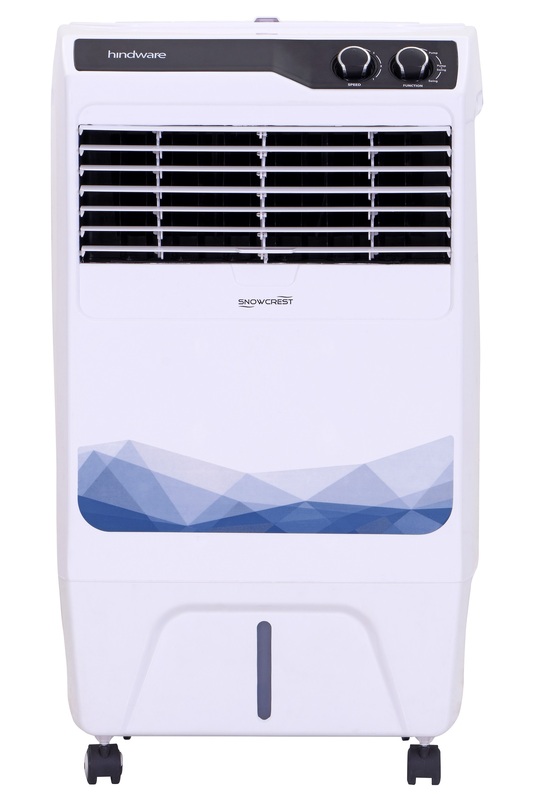 Hindware Snowcrest 23L Air Coolers is introduced for Modern Trade and E Commerce while the 24L air cooler is for General trade. The 23L & 24L Personal Air Coolers come at a price tag of INR 9,490 and are availableo across all leading general as well as modern trade outlets.